Used by law enforcement tactical units who praise its multi-use functionality. 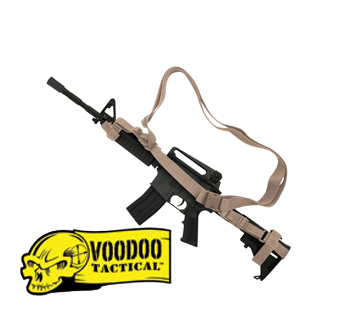 Our fully adjustable sling enables the user to easily adjust to any weapon fit. Made from 1 1/2" rugged webbing. Great product. I have owned many 3-point slings costing 3 times as much but this sling has surpassed them all. The sling is well built & very strong. It attached easily & is adjustable with ease. I recommend this sling for any tactical application or weapon.